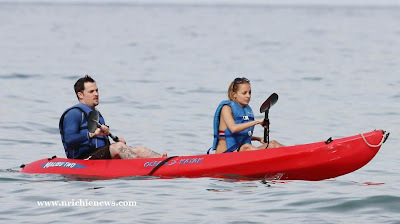 Nicole Richie and Joel Madden are currently on a Vacay in Hawaii. 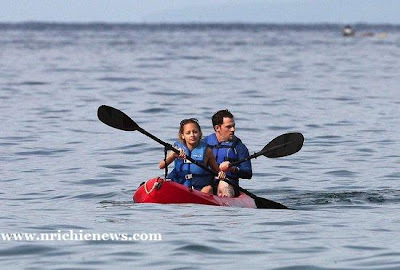 Nicole Richie and Joel Madden must love it in Hawaii at this is their third time the couple have visited Hawaii together. Just a coincidence .. I have only just blogged about the Green Urban Outfitters Dress Nicole is wearing below. Nicole Richie is still loving the big sunnies and the use of a scarf as a hairband .. i guess this is a promise we will continue to see this look in 2009! I love it! - It is one of my favourite Nicole Richie looks.